Your account and the credit card you gave has been charged according to your request for delivery, pick up, and disposal included. We confirm your roll off container delivery with a 10 day rental period. After 10 days there will be a rental fee of $200/week until the dumpster is recovered. Overages will be charged based on the material limitations and rates listed below. Cancellation Fee: $150 per dumpster. Relocate request fee $150 per dumpster. Blocked Container/Approach Fee: $250. A 7% fuel surcharge will be added to the haul rate of each load to cover the cost of fluctuating fuel prices based on the US Department of Energy weekly diesel price index and is common in waste and transportation industries. Your credit card will be automatically debited for any additional charges according to these rental terms. 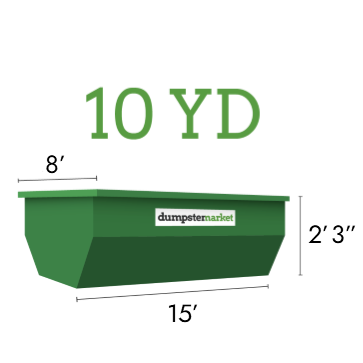 DUMPSTERS WILL NOT AUTOMATICALLY BE PICKED UP – PLEASE CALL DISPATCH AT 404-627-1070 – EXT 3 TO SCHEDULE A FINAL PICK UP OR SWAP. ALL ORDERS INCLUDING NEW DROPS, SWAPS, OR FINAL PICK UPS MAY TAKE UP TO 1-4 DAYS AFTER NOTIFICATION TO BE COMPLETED. If our drivers are held up on site we will charge $150 after the first 30min for each additional hour and may move on without completing your order. NO DUMPSTERS THAT ARE OVERLOADED OR TOO HEAVY TO HAUL WILL BE SERVICED. NO DUMPSTERS THAT ARE DEEMED UNSAFE BY THE DRIVER ONSITE WILL BE HAULED. Additional costs may be incurred depending on the circumstances. If being swapped and the dumpster is overloaded, the empty container will not be set down. You must call the office to reschedule once the full dumpster is reloaded to haul safely. These Items are not accepted: Appliances, tires, batteries, mattresses, propane tanks, TV’s, chemicals, hazardous waste, liquid waste, wet paint, automobile fluids, biomedical waste, PCM waste, oil filters, food waste, solvents, thinners, lacquers, asbestos, and infectious waste. No Freon-loaded items: refrigerators, freezers, dehumidifies, etc. Mattresses are not allowed in any of our dumpsters and there will be a $100.00 fee for each mattress placed in a dumpster and you will be charged for the load as msw (see msw disposal below). Tires are not allowed in any of our dumpsters and there will be a $50.00 fee for each tire placed in a dumpster. *Customers are responsible for loss or damage to containers on site. Any graffiti will be charged a $200 fee per dumpster. *Debris is not to be loaded over the top or sides of the container. *M&M is not responsible for damage to driveways, grass, shrubs, water lines, low overhead power lines or cables. *Special note for handling household trash: Furniture, clothing and the like (1st ton included in the rental price) Over 1 ton will be charged at additional rates for disposal. This pertains to all box sizes for household trash. Customers are responsible for relocation fees if we are instructed to call when on the way for placement instructions and there is no answer as we will set the dumpster on site in the safest location. We do not place dumpsters on the lawn or yard of a property. If requested to do so you acknowledge that M&M Waste, Inc. has advised that the lawn or yard may be damaged by placement, use, or removal of the dumpster. If it rains the weight of the dumpster may cause it to sink and cause further damage upon drop off or removal. This document is a release form allowing us to place the dumpster on any grass or lawn area if requested releasing M&M Waste, Inc. from any responsibility for damage. If a truck of M&M Waste, Inc. gets stuck on the lawn, yard, or grassy area of a property upon request of the dumpster placement the customer may incur fees to correct the situation and to cover damages to our equipment. This email confirms your acceptance of our terms. Thank you for choosing M&M Waste, Inc.
**note for trees only one stump allowed per box. $100/stump after the first stump. Trees must be cut up. Stumps must be smaller than 4 ft in diameter or charges will be incurred.